Entries from Digital Intelligence tagged with "otto"
This chart shows the percentage of ad impressions by category in Germany in April 2013. The top three advertisers for the period were eBay, Microsoft and Otto. Social Media sites captured the highest share of display ad impressions with 33%. 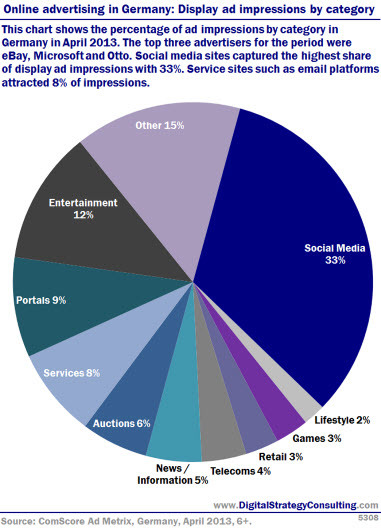 Service sites such as email platforms attracted 8% if impressions.